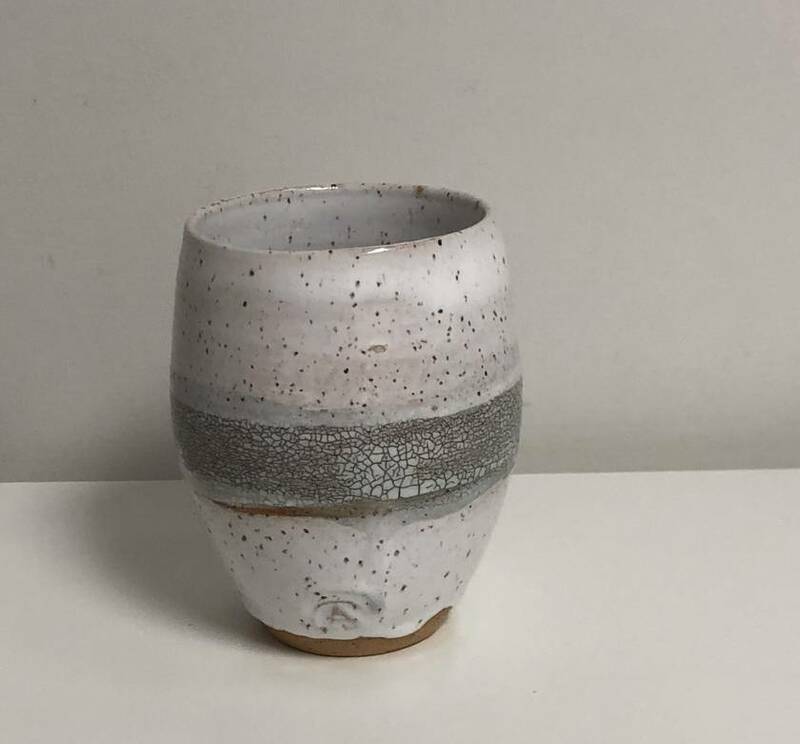 Had made on the pottery wheel using a buff clay with added beach sand. Perect for a tea or coffee or wine as they fit your hands perfectly. Can also look great in your bathroom for toothbrushes or on your desk for pens. 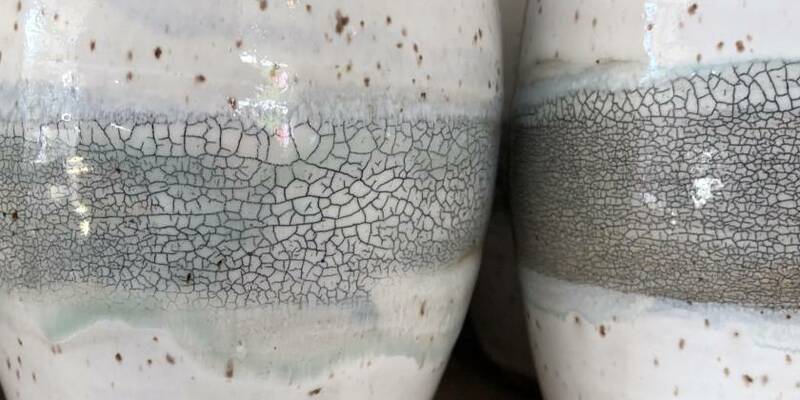 Each piece is slightly different but glazed with a crackle silo and white glaze. Dishwasher and microwave safe. 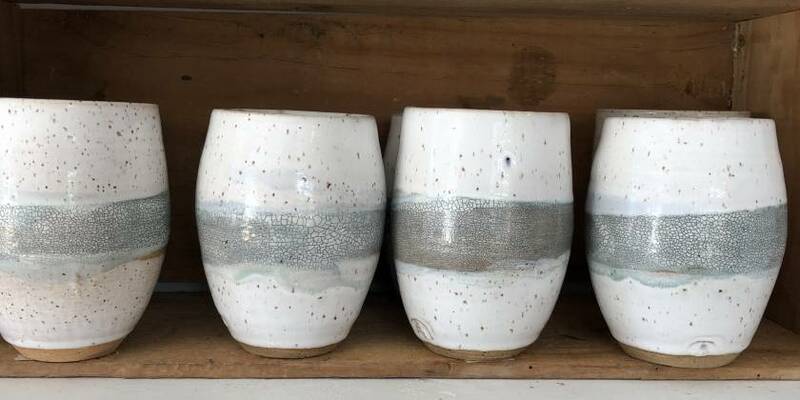 Contact potterymaker to enquire about payment or shipping options.